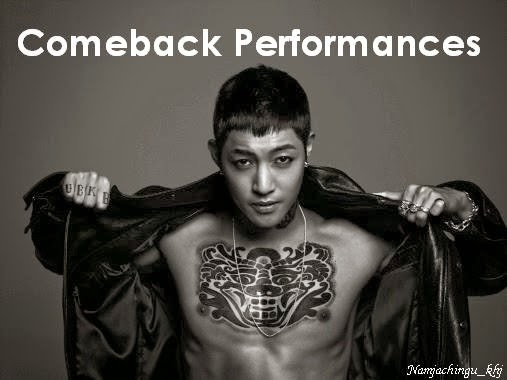 Huge thanks to Jonathan Hicap for writing such great article about Kim Hyun Joong. ^^ I really appreciate it. ^^ Happy Birthday again Kim Hyun Joong! ^^ 생일축하합니다 김현중! Korean star Kim Hyun Joong is celebrating his 27th birthday today, June 6, and has released his third Japanese single as a gift to fans. The singer released his maxi single "Tonight" on June 5 and in just one day, it sold 101,818 copies to rank second on Japan's Oricon daily singles chart. It also contains two other songs and was released in five different CD covers. "Kim Hyun Joong is ranked #2 in Oricon Japan Chart today, selling over 100,000 copies on the 1st day of release! Let's Go!!! #GOLD," posted Steven Lee, the main album producer, on his Facebook page. Lee co-wrote "Cappuccino," which is included in the maxi single. To celebrate the release of his new single, Kim Hyun Joong held a premium event at the Nakano Sun Plaza concert hall in Tokyo. About 2,200 fans packed the concert hall and about 8,000 fans waited outside the venue. For six hours, Kim Hyun Joong shook hands with each fan in the venue to show his appreciation for their support. "It’s a given that he shows mature music every time he releases a new album, but it’s Kim Hyung Joong’s special charm to take care of the well-being of his fans, who have waited a long time to see him – that’s something you don’t find in every star,” said a staff of the single's publisher, according to ENewsWorld. Kim Hyun Joong is also giving his Korean fans a birthday gift with the release of his digital single "Why I'm Alive" today. “Kim Hyun Joong has been trying to figure out a special event for fans in Korea as his promotional activities abroad with his Japanese and Asia fan meeting tours took over a long period of time. He was pondering what he should do to repay for his fans’ love, and he decided to release a new single album on his birthday,” according to KeyEast Entertainment, Kim Hyun Joong's agency. This is his second digital single since he released "Marry Me" in 2011. He will hold his Seoul fan meeting called "2013 KHJ Show - Party People" on June 8. Last March, Kim Hyun Joong won the best actor award at the 5th Okinawa Movie Festival in Japan. Kim Hyun Joong, who was born on June 6, 1986, debuted as the leader of boy band SS501 in 2005.